Am I funny to ewe? 1. Their wool will grow forever. Back in 2004, Shrek the Merino sheep hid in a cave for six years so he wouldn’t have to get sheared. But the time he was cornered and given his long-overdue haircut on New Zealand national television, there was enough wool to make 20 mens suits. 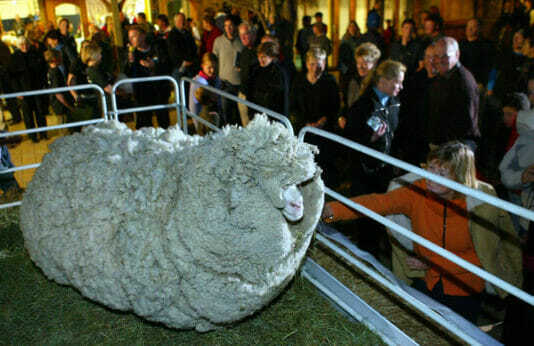 In 2015, a sheep named Chris who was found in Canberra, Australia, unloaded 89-pounds of fleece. 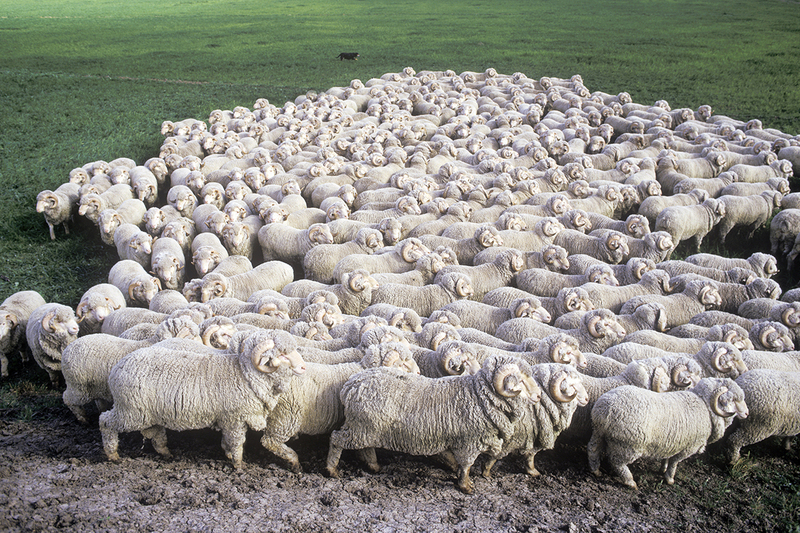 Unlike wild sheep or “hair sheep,” (breeds that naturally shed), the wool of domestic breeds like the Merino will just keep growing, according to Dave Thomas, the now retired head of sheep studies at the University of Wisconsin, Madison. On a related note, one pound of wool can make up to 10 miles of yarn. A sheep, depending on the breed, can produce between two and 30 pounds of wool a year, so do the math. 2. They have nearly 360 degree vision. Here’s looking at you, kid. Wikimedia Commons. Pablo Dodda via Wikimedia Commons. 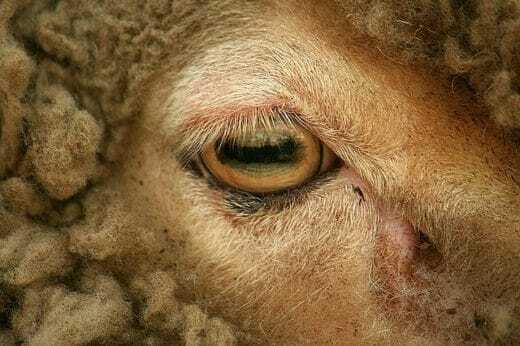 Sheep have rectangular pupils that give them amazing peripheral vision – it’s estimated their field of vision is between 270 and 320 degrees; humans average about 155 degrees – and depth perception. These are great assets when you’re a prey animal. It’s like surround sound for the eyes. 4. The upper lip of a sheep has a pronounced groove dividing the left and right side, called a philtrum. 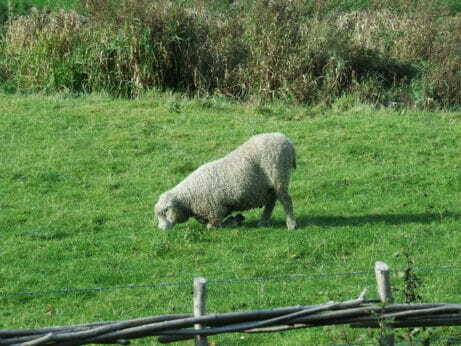 A sheep eating grass. Norman Hyett via Wikimedia Commons. Sheep are very selective grazers, preferring leaves and blades over stems, and their philtrum helps them get close to the ground, them an advantage over other ruminants who can’t go as low. 5. 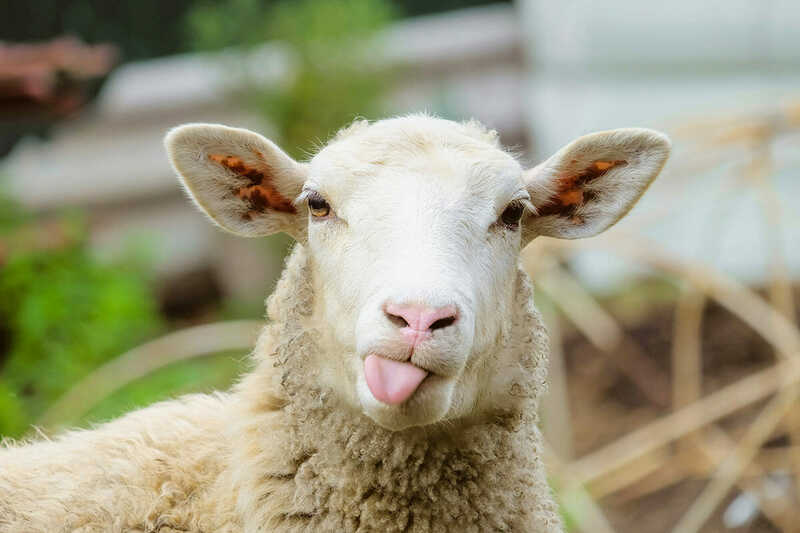 Sheep can’t right themselves if they’re on their back. Sheep that are heavily pregnant, overweight, or have a heavy fleece have a very hard time righting themselves if they’ve somehow fallen onto their backs. There’s even a term for the situation. They’re called cast sheep. So if you see one in this position they’re probably stressed and freaking out so find a farmer and help roll ’em back over. Here’s a video of a cast sheep getting a helping hand. 6. There are some deep historical ties between sheep and U.S presidents. 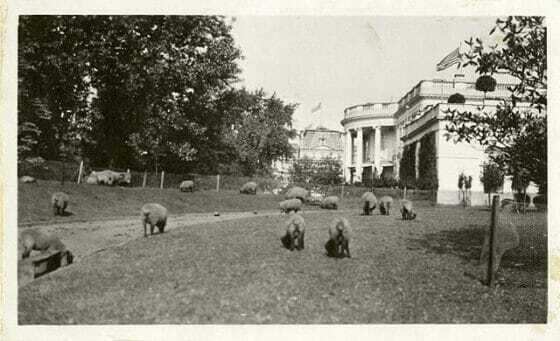 Sheep on the White House lawn. Wikimedia Commons. I want to know if sheep can get pregnant without having asexual course.. I need help in my sheep facts and my presentation is tommorow and I’m literally going to cry.